For most of us, basil is a ‘must to include herb’ in many of the dishes prepared at home simply because it exudes a scented aroma that drives us crazy. Basil is part of the family of mint and has the capability to be grown all year round. Growing basil indoors as well as outdoors is easy, unlike many other herbs and plants that need special care. It is a native of Asia and has its origins in India. Basil is a much loved herb all across the globe and features in many Mediterranean dishes. It will come as a surprise that growing a basil plant is much less costly as compared to buying it from stores. Today, we will show how to grow basil at home in detail and this will definitely encourage you all to grow fresh basil all by yourselves. So, begin growing this aromatic herb on your own! Why you should grow basil? How would you feel if you could just clip off a few aromatic leaves of basil from your kitchen garden and use it in your cooking? We think, anyone would love the idea of adding fresh ‘out of the garden’ produce to their food, instead of buying from stores. The aroma that is exuded from the basil leaves freshly plucked from the garden has a soothing effect on our minds. Basil adds spiciness to your food, and is loved for its clove scented flavor. Also, the basil plant can grow pretty fast, and can produce a good quantity of fresh leaves required for your week’s cooking. There are other reasons why you must go in for growing basil at home. These include the plant’s capability to grow well even in small spaces like pots, on windowsills and practically all places that receive ample amounts of sunlight. Basil also has the capability to grow all year round, especially the basil varieties like the Globe basil, Genovese basil, Thai and Cinnamon basil. Among these varieties, its the Genovese basil, also known as sweet basil that is most commonly grown. As its been already mentioned above, growing basil indoors or outdoors at home is not at all difficult, provided you show ample amount of sunlight to your basil plant and protect it from extreme cold. Basil grows all year round and can be grown in limited spaces like pots. 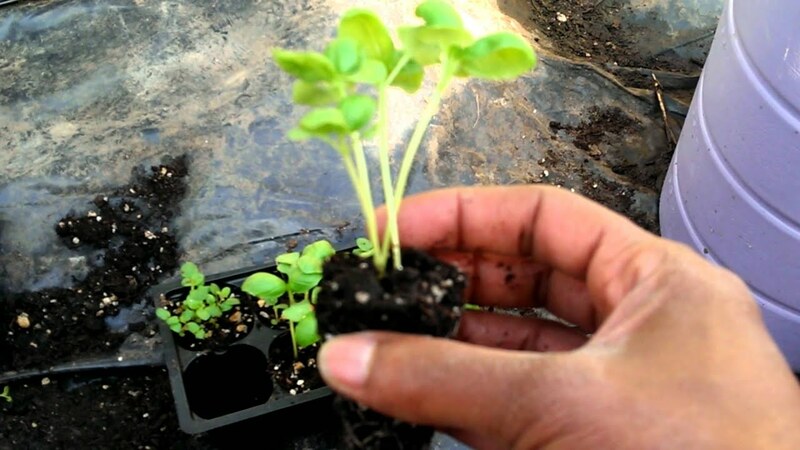 Growing basil is simple, but, you must know the exact or proper time to start planting. Basil grows best during June. In case you are planning for growing basil indoors in pots, do place 2 to 3 seeds per pot. The required diameter of each pot must be at least 5-7 cm. Before placing the seeds, fill the pots with moist potting soil and compost. Also, make sure that the pots have enough holes for drainage. Once the seeds have been placed, dust compost over them so as to cover them. Place the pots near sunlight like a windowsill. 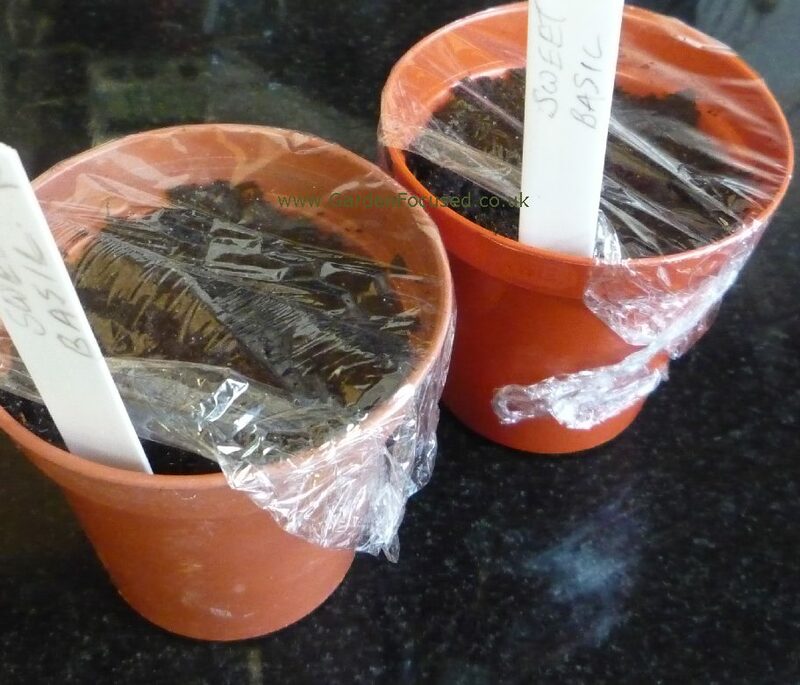 You may also cover the pots with cling film to fasten the process of germination of basil seedlings. When you see the first signs of seedlings germinating from the soil, pull back the film so as to allow the flow of air. Do this couple of times and then put back the cling film. After a few days of repeated showing of air, remove the film. Now, place the pots in shallow dishes filled with water. This has to be done for the seedlings to receive good amount of moisture that will enable them to grow. Wait for 14 days until you see the seedlings fully emerged from the soil. Wait for another 3 weeks after which, you need to clip off the weak seedlings away from the healthy ones. Select the healthiest of all the seedlings in each pot. The process of transplanting will begin soon after the stems of the seedlings have grown taller and have formed strong leaves. You can transplant these into a larger planting pot with at least 10 cm diameter, or else, you can also transplant them in the garden outdoor. 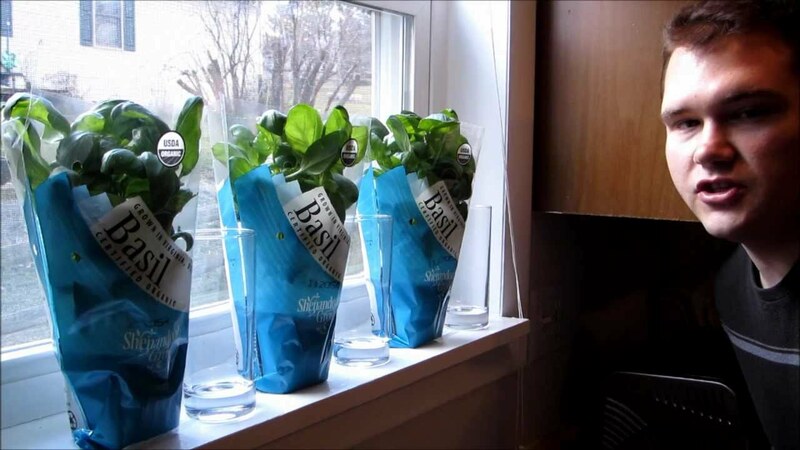 If you plan to grow the basil plants inside, then you have to place them at spots that get direct sunlight, like a windowsill. However, if you are planning for an outdoor growing of basil, then spot selection is a priority because it will determine the future of your basil plants. The place selected for outdoor growth has to be sunny, but at the same time must not be prone to get affected by wind and frost. Once the spot is selected, the seedlings have to be removed from the pot and then placed in a hole measuring at least 1 cm in diameter. Be gentle when you remove the seedlings and then cover the hole with soil and press down gently. Start watering soon after. For basil to grow properly, it is a must that the soil chosen as potting must be well moisturized or well drained. It must have a neutral pH which can be added when you treat it with compost, preferably organic. However, try not to add too much of compost that will make the soil richer. This will ultimately affect the flavor of the basil leaves that will loose much of their aroma. If you want to cultivate basil to the maximum capacity, then you need to show the plants enough sunlight daily. Anyone that has a spot like a windowsill can grow basil well as this herb needs at least 6 hours of sunlight. However, make sure not to over expose them to direct sun specially at noontime. When watering, make sure that you water the base of the basil plants and not the leaves. Keep the soil moist but do not over water. Basil plants grow to reach heights of 12-24 inches, which makes it essential that you space them at least 12 to 16 inches apart in pots or garden beds. Among the basil varieties, it’s the Globe basil that grows nicely in small pots, and therefore, is best for pot cultivation. Basil tends to extend its aroma and flavor to other plants or herbs grown along with it. You can plant parsley or tomatoes along with basil. But, always choose such plants that have the same needs as that of a basil like water and light. How to harvest your basil? Always start harvesting basil when the plants have grown 10 cm tall and you can see a mound of fresh green leaves all over them. You can either pinch or cut the leaves, or, even snip the stems that have the maximum green basil leaves. Do the clipping ritual daily as it will enhance the growth of more leaves and also prevent the plant from getting leggier. 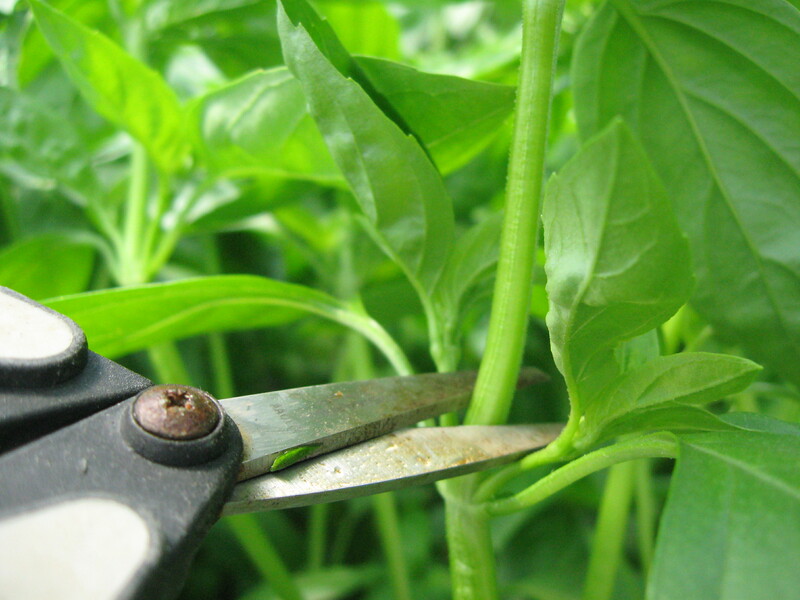 However, some people refrain from snipping off the stems as this affects the health of basil plants. They only cut away the leaves as they keep growing after their first harvest. Another important tip is to harvest the basil before it starts producing flowers. This is because the leaves are healthier before flowers arrive. In case, you spot any flowering, just snip or pinch these off. You can use the flowers as these are edible. Once the flowers are snipped off, the basil plant can grow healthier and produce more aromatic leaves than before. Basil is your ‘on the go’ pick up herb, and it can grow easily during summer months like June. But, the situation changes when you have to grow and cultivate it in winter. Growing basil in winter is a tough job as the plant’s requirement of sunlight is not met optimally during cold season. Hence, it tends to become a tedious task of preserving the basil plant. Basil can be enjoyed either in fresh or dried form. 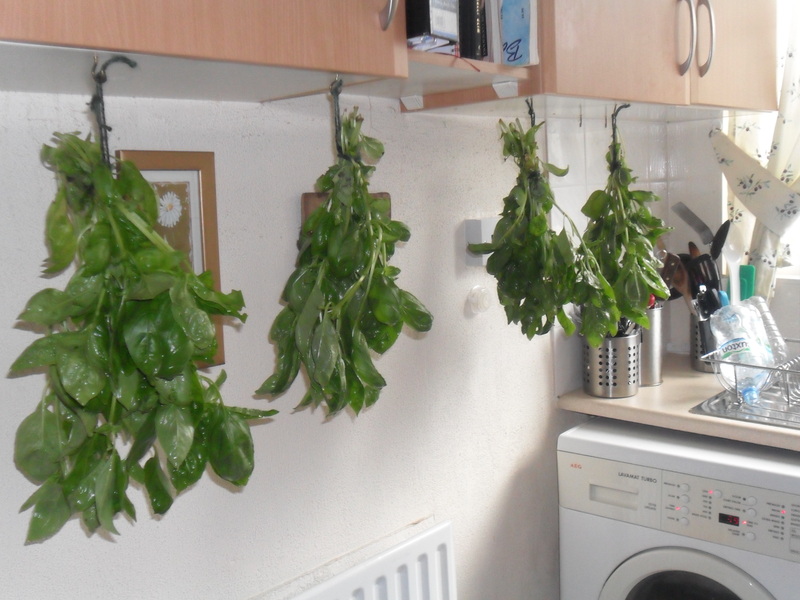 Therefore, you can preserve basil leaves beforehand by drying them. You can harvest fully grown basil leaves during summer and then dry these to be used later on. When harvesting, you can cut the stems from their base and then tie them together. The tied bunch of basil stems can then be hung upside down in a place that is warm. Wait for the bunch to dry up. Once you get your dried basil stems along with leaves, just powder them or crumble them, and store them in an airtight container. Either keep it outside or else put the container inside the freezer. Doing this will help you savor your basil for a long time. Hope you now know how to grow basil indoors as well as in gardens, and will continue using this easy growing herb to add additional flavors in your dishes. If you know some other tips of growing this flavorful herb, please do ping back as we always welcome your opinions and ideas!